Looking for great apps at a fraction of their regular cost? 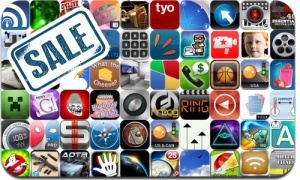 We’ve found 69 iPhone, iPad and iPod touch apps that are currently on sale. This app deal alert includes War Pinball, Ghostbusters Paranormal Blast, League of Evil 2, Virus Vs. Virus Pro, Bang!, Gyro13, Shot Shot Shoot, LOL Bucket Pro, iShutdown, and many others.